This is a report on a project led by Sea Turtles Forever and supported with grants from the Aquarium’s Marine Conservation Action Fund (MCAF) in 2009 and 2010. MCAF supports the Aquarium’s commitment to ocean conservation by funding small-scale, high-impact projects across the globe. Since its founding in 1999, MCAF has funded more than 100 conservation projects in 36 countries and has disbursed more than $600,000 to protect highly vulnerable species and habitats and to conserve marine biodiversity. The Punta Pargos region on the west coast of Costa Rica is an important nesting area for the endangered Eastern Pacific green sea turtle. In Costa Rica and globally, these turtles face many threats, including pollution, entanglement in fishing gear and poaching of adult turtles and their eggs. The organization Sea Turtles Forever (STF) has been working for over a decade to improve the plight of these animals. STF began when founders Marc and Rachel Ward visited Punta Pargos in 1998. Troubled by the rampant poaching of the turtle eggs, they started hiding nests from poachers. Recognizing the large scale of the problem, they soon formed Sea Turtles Forever and recruited others to help in their efforts. 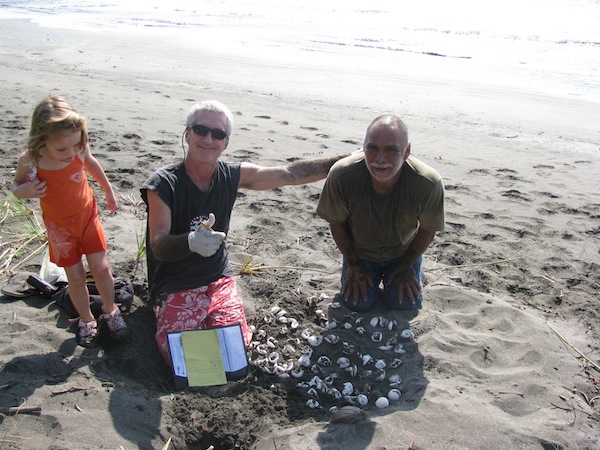 Now there is a team of STF staff and volunteers working together to protect the turtle nests. Every night during the sea turtle nesting season (which runs from October to May in Punta Pargos) the STF team heads out before high tide to search for nesting turtles. This is a race against time because poachers and predators are also on the hunt for these eggs. After the turtle lays her eggs, the STF team camouflages the nest or moves the eggs to a more covert location to keep them from being poached. The team also monitors the nest and counts the hatchlings weeks later. Recognizing the value of their work, MCAF awarded STF grants for both the 2009 and 2010 nesting seasons. In each of these years, STF secured more than 100 nests and ensured the safe hatching of over 10,000 turtles. As successful as they have been at protecting turtle nests, STF knows that threats to sea turtles must be addressed on many fronts. For a number of years, STF has been collecting scientific data on nesting females, eggs, and hatchlings to track the movements and reproductive health of the turtle populations. STF has also worked in local communities to change the cultural attitudes about consuming sea turtle eggs. 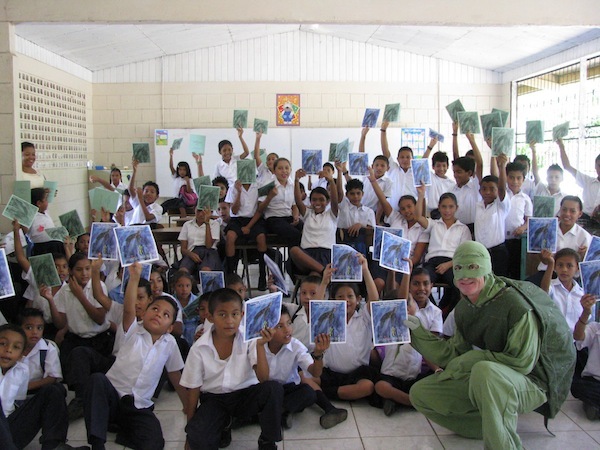 STF director Marc Ward regularly dresses up as Turtle Man to educate local children with engaging lessons about sea turtles and explain why their eggs need protection. Most importantly, STF has gained the cooperation of former poachers who now work for STF guarding turtle nests. Along with these community efforts, STF tackles the threat of marine debris by removing huge amounts of monofilament line and other plastics from turtle nesting beaches and nearshore habitats. 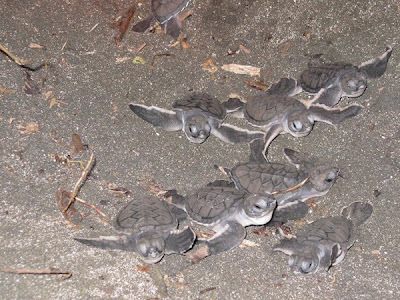 Sea Turtles Forever is a great example of how a small group of dedicated individuals can make a significant difference even with limited resources. With their comprehensive conservation efforts, STF continues to work tirelessly toward a better future for sea turtle populations.